The red flowering tropical hibiscus plant gives this infusion drink its unique taste and wonderful color. The rich fruity flavor has the perfect hint of mint making a wonderful cup of tea that can be enjoyed all year round. Brew the tea for 3-4 minutes or until it turns a ruby red. Try it hot or cold with a slice of lemon. 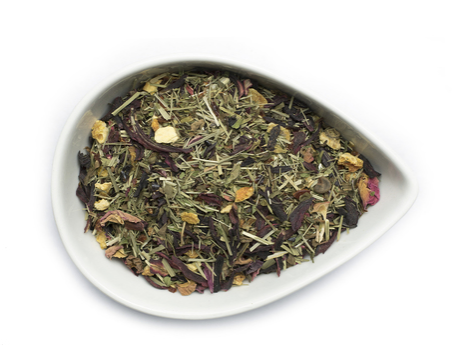 The tea is enchanting and alluring with a romantic rose and hibiscus essence. Caffeine Free.